May 2013 - Zakantha Beach is one of the most pleasant places you could hope for on holiday and I have to say that, having read some of the earlier reviews before my wife and I went on holiday, I was unsure whether or not I had done the right thing in booking this hotel. The hotel is supposedly 4 star - it may be by Greek standards but it is certainly not by UK standards, 2+ stars or 3 stars at best. The hotel has obviously been refurbished - it's just a pity that the bathroom lights are both over the wash-basin and as low energy they take ages to achieve full brightness. Also, you will shower in the gloom as the shower curtain obviously obstructs the light. Picking up on some of the earlier comments, I don't agree that the people there are "just staff". Yes, they're there to do a job but in my many years staying in many different grades of hotels in many parts of the world I have never met more friendly and helpful staff - nothing was too much trouble for them and the fact that many of them have worked in that hotel for many years says a lot for the owners too, who are also a nice couple. Nicki and Dionysos in Reception, Monica in the bar in the evening, young Alex in the Dining Room and Luciano in the Snack Bar (also helps out at breakfast time in the dining room)- every one of them was exceptionally friendly and helpful; perhaps experiences of others is a reflection on the way they treated the staff. Yes Monica runs the bar (and sometimes thinks she runs the hotel) and she introduces everybody in the bar to everyone else to try to get people involved with each other - at times it can get a bit much if you just want a quiet drink and relaxation, but it is well intentioned! With regard to extra payments made by others, yes you have to pay for the 'fridge and the safe if you want to use them, but so you do in most other holiday hotels; the only time I haven't has been in city centre hotels. Our tour company said we had to be out of our rooms by 10 a.m. but having spoken to Nicki on reception, we stayed on in our room for a couple of hours later, with no extra charge. Pool towels are also available by asking at reception at no charge; we didn't even have to pay a deposit which is fairly commonplace elsewhere! The snack bar has a more extensive menu than most hotel pool bars and covers a range of snacks or full meals, all at reasonable prices. We stayed on a Bed and Breakfast basis as we knew there are many alternative places in Argassi where you can get snacks or evening meals but, if you decide to eat in the hotel, dinner costs 12 Euros per person - consider that before you pay your tour company more for the half board supplement! Me an my husband have just returned from Zakanther Beach. It was the second time we stayed there and this time was better that the first. We first stayed at Zakanther last year and we had a brilliant time, but this year the hotel has been refurbished and now looks absolutely amazing. All the rooms have been done and so has the hotel bar area, reception and the pool area. Monica who is in control of the bar is one of the nicest people you could ever wish to meet, and Luciano who is there for you at breakfast and during the day in the hotel snack bar is also a little treasure and he looked after us during our stay. To anyone who has not stayed at this hotel before we would recommend it to anybody. The staff go above and beyond their duty, you are directly on a lovely stretch of beach and also 2 minutes walk from the main night life. We have booked up already to go again next year. We stayed at the Zakantha Beach last May. We were hoping to go back this year but sadly had other arrangements. My relatives however did go this year. From the pictures it couldnt look any better! From reading other reviews it amazes me to what will actually please some people!!! The staff are what you expect - staff! They are there to supply a service, and if you are friendly enough to make friends with them, they are lovelly. Monica is one of the nicest people I have ever met and I think she is missing from certain peoples lives, thats why they found her 'over the top' personality welcoming. When my family went she asked for pictures and we spoke a few times on the phone. Be open minded. I wouldnt advise anyone to go here if they want to be left alone - including the whole resort! Stars restuarant is really nice and value for money, and the waitors match this hotel a treat! They are like a little family. The rooms when we satyed were in need of a facelift. I agree with the headboard on the bed, and the shower, but have a bath! It takes just the same time. The only noise we heard was when the Greeks came over for the main land for there holidays. We did hear alot of talking and laughing, but 2 days later they were gone. I think the only thing I would change, staying for two weeks, the breakfasts got very repeatative. We are all planning to go back next year and can't wait to see things for real. the pool looks amazing. 10/10. We have stayed in the Zakantha Beach 3 times and going again in a few weeks. We have never had a problem with this hotel or the staff. Monica who works in the bar is lovely she has seen my daughter grow up and has always made a fuss of her. I would recommend this hotel to all our friends it is in a perfect location right on te beach and about 5 minutes walk form the main resort shops restaurants etc. When we book we always ask for a side sea view room and have never had any problem with road noise. Hi, not reeally a comment. I am going to the Zakantha Beach with my daughter in July and am a bit worried about the hotel and the resort. Please can some one reassure me it will be OK?!!! my family and i spent a week here last year and it was great 9 of us in all from age 5 years teenagers people in there twentys and us parents we all had a great time and are going to book for this summer great hotel great staff lovely beach .luciano was very friendly and was on hand most of the day we all found him pleasant, not at all the way mr Mc ritchie described him. Stayed here in September, thankfully just for a week! Initially were given a "road view" room, which was ridiculously noisy, but managed to change to another, which from a noise aspect was a huge improvement, although internally both rooms were the same - on the surface very clean, but the furnishings and carpet had seen better days. How this place has a 4 star rating is beyond me. Contrary to previous reviewers, we found the reception staff OK, reasonably friendly and easy to deal with. Monica who works the bar was nice enough, if a bit "in your face". To be honest, she was over the top! However, she could teach her fellow Romanian, Luciano, a thing or two about manners and dealing with the public. He is the hotel's sole waiter, serving coffee at breakfast time, working in the snack bar during the day, and generally shuffling around with a face like a smacked backside. Unless of course you're a size 10 blonde or a group of dutch friends he had staying at the hotel - he's a puppy dog then! Otherwise be prepared for surly service! He didn't seem to charge his friends for food from the snack bar, lucky them. Also overheard him telling them how he has various keys for rooms in the hotel, which he uses to "entertain" lady friends! Hope he didn't have a key for our room, didn't make my wife feel very secure, knowing that. On the whole, unless you've got a cheap deal, I'd avoid this place. From looking at the pictures of this hotel on the internet and from reading the reviews, we were looking forward to our stay at this hotel. When we first arrived at the hotel we were impressed by its grand appearance, however from the moment we were handed the key to our room we were very disappointed. On entering our room on the third floor, second room in from the road, we found the room to be cramped and in need of a face lift. The noise from the road was awful, coaches, motorbikes, lorries and cars constantly flew along this road 24 hours a day. To be honest it would have been quieter to have stayed next to the M25! After a sleepless night we visited the chemist and purchased ear plugs. The carpet looked like it have never been cleaned, the toilet leaked making the bathroom smelly and there was no hook for the shower so had to hold the hose above our heads. This is meant to be a 3+/4 Star Hotel. Because our room was opposite the stairwell, we had to place one of our suitcases in front of our door to stop it banging from the draft that was coming through. The headboad was hanging off the wall, which meant we had to sleep further down the bed so it didnt keep banging against the wall thus upsetting the guests in the other room to us. The couple who were staying in the room next to us had paid double the amount we had for one week and they had been given the worst room possible, as their room was the one closest to the road. They were not happy at all. The reception staff were miserable and unfriendly. When you handed in your key for the day we didn't even get acknowledged. Whatever happened to a warm welcome and Greek hospitality. You certainly wouldn't find it at this hotel! We had been told that the hotel had undergone a major refurb. From looking, it appears to be just the reception and bar area. To be honest we have have stayed in lower star accomodation before but of a much higher quality than this hotel. PS. We have been travelling to Greece for 10 years now and have never felt that we needed to make a negative review before, until we stayed at the Zakantha. My fiance and I stayed from the 1st till the 8th of June and loved it so much that we plan to go back for our honeymoon next year. We were lucky enough to get a sea view room on the 2nd floor and as you'd expect the view was gorgeous. All the staff were very friendly and helpful, especially Monika who works on the bar gets everyone talking to each other. Breakfast is more than enought to get you started for the day with fruits, bread, sausage, eggs, bacon etc and the snack bar by the beach does really nice food at reasonable prices. 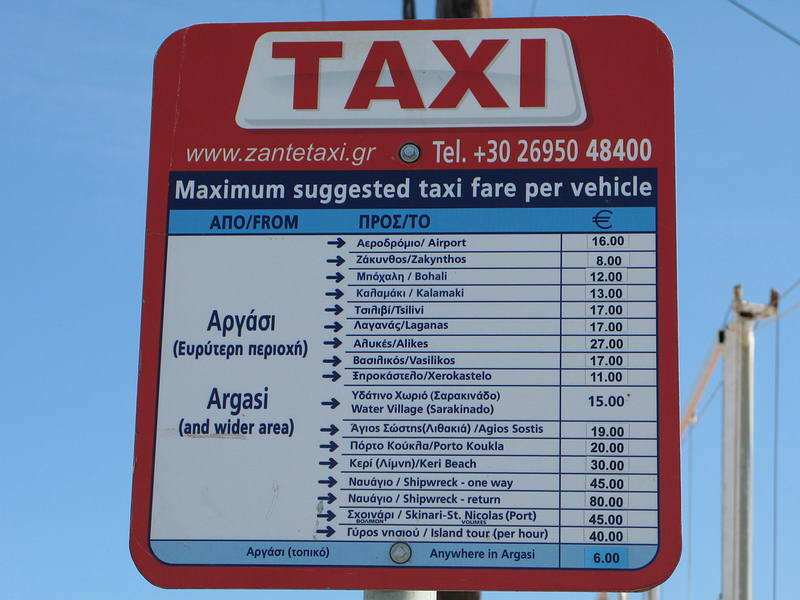 Hi call 0030 26950 58100 and that will get you through to EuroZante which is an office for tour operators just ask for the number there. they speak English. We are considering going to Zakantha Beach. We have a 5 year old, does anyone know if they are a "kiddie" type hotel. We have just returned from Zakantha Beach, one week only, wished it was longer. Excellent location, right onto the best part of the beach. Staff all friendly and very helpful. All spoke perfect English. Ate out different places, local dishes, didn't have a bad meal all week. Can recommnd the train to Zante town and free bus to St Nicholas Beach, you have to pay for sun beds when you arrive. 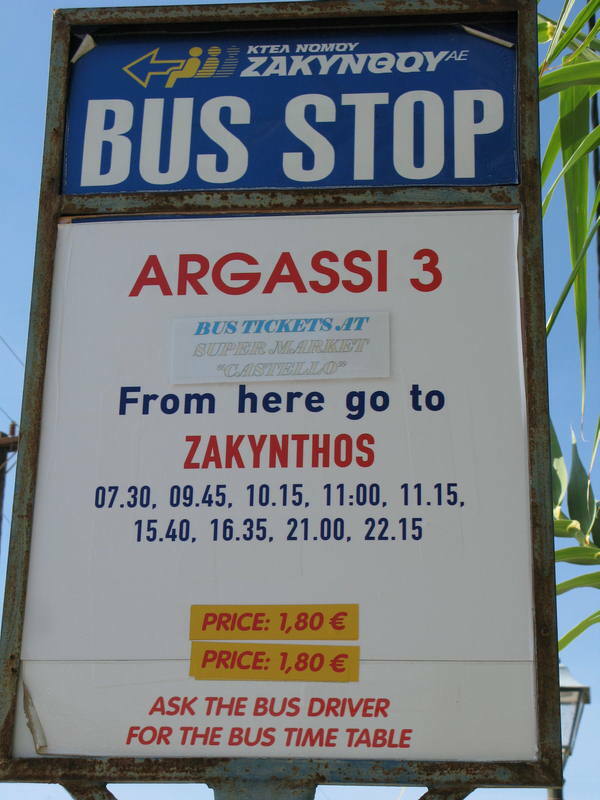 We have just returned from Argassi, one week only, wished we could have stayed longer. Excellent hotel location, friendly staff, good facilities and right onto the best part of the beach. Everthing better than we expected, especially the breakfast buffet. Ate out locally, different place every night, could recommend lots of places but never had a bad meal all week. Had a good room above the front entrance, would have not been so happy if placed on the road side. Great hotel and friendly staff. We only stayed for one week (from 16th June 2005) and wish we had booked for longer, hopefully will return later this year. Our hotel room was clean and comfortable - the room was cleaned each day. Mainly couples staying out the hotel. 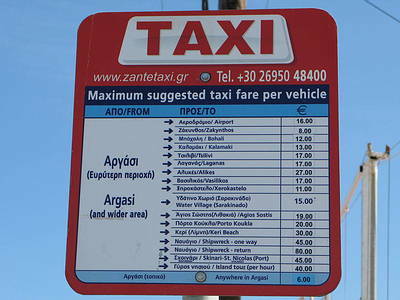 The hotel is located ot the side of town nearest to Zante and was only a 10 min transfer from the airport. Fortunately, the airport is on the other side of the hills so we were not under a flight path. Our room was facing the road (didn't get a sea veiw)- which was ok, although some nights the music from the bar across the road could be heard, especially if you had the patio doors open. Also, the bin men ealy hours of the morning. The resort itself had loads of places to eat and drink. The one's we visited were very good - the food was great and exceptional value for money. The factory Club is a must for everyone on the island and should not be missed!! Will defintiely return next year. We are going on the 14th July. From all the reviews I have read and people telling me what good times they have had, I think we will really enjoy it. Cant wait!! hiya wendy me and my m8s r going to argassi in july too wen bouts u going? there is a lot for the kids to do in watersports but u have to walk around to a beach a bit futher down from the hotel! the night life is really good and there is a lot of choice for restaurants! (i went last year) the hotel is really nice and there are plenty of trips to go on! the staff are really friendly especially the bar maid monica! We are going to this hotel in July, I would prefer a quiter room can anyone advise me. We have never been to Zante before and have 2 teenage boys 14 & 16 is there lots for them to do?? We are going to the zakantha beach on the 22nd may, while there it will be our 25th wedding anniversery. Does anyone know of a photographer we can contact, as we thought it would be nice to have a reminder. Also never been before, so any tips would be great. Hotel was well situated right by a small sandy beach. The sea here was safe and very shallow. Room decor was reasonable but the foyer and lounge were much grander.The internal walls of the hotel were very thin and you could hear everything going on in adjacent rooms! rooms have TV but there are no english channels what so ever. Breakfast not fantastic but O.K. although if you wanted more than one cup of coffee you had to ask. Stayed at Zakantha Beach for wk at end of September and hotel was better than expected, even beach was better than expectations but this was probably more to do with it being out of season I can imagine its not so good when its busy. Had second floor room with view towards Zante town which had lovely late afernoon sun. I did get woken up every morning by the bin men but my boyfriend slept through it, other than that it was fairly quiet as its at the end of the main Argassi road. Having never been to Greek islands we weren't sure what to expect but really loved the island and the resort, plenty to do but without being full on. Greek food absolutely delicious, ate out somewhere different every night. Hired push bikes for two days for 25euros and cycled to Kalamaki which was lovely and the sea was a bit more choppy round this side. Also cycled (uphill) to Porto Zorro which was stunning and deserted. Would definately return as everybody is very friendly and hotel is clean and superbly presented. Stayed at Zakantha Beach for wk at end of September and hotel was better than expected, even beach was better than expectations but this was probably more to do with it being out of season I can imagine its not so good when its busy. Had second floor room with view towards Zante town which had lovely late afernoon sun. I did get woken up every morning by the bin men but my boyfriend slept through it! Would definately return as everybody is very friendly and hotel is clean and superbly presented. We have just returned after a miserable week at this hotel.we stayed here six years ago and it was nice.now is the grubbiest 4 star we have stayed in ever.the room was carpeted but has never seen a vacum for years it was stained and dirty.the bed was like a slab.the breakfast for a supposed 4 star was abysmal.we couldnt get a sunbed all week and why should u pay for beds on the beach when it belongs to the hotel,seems they are trying to get as much money out of you as poss.as for the daytime receptionist [nicky] her attitude was terrible.we were there for a special occasion which she knew, still waiting for our celebration pack.she seemed to go out of her way to make things difficult.the rest of the staff were fine but our favourite by far was spiridoula fantastic person!!!!! NEVER AGAIN.